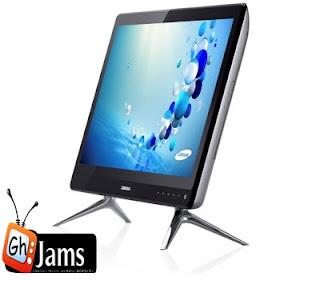 Samsung Electronics West Africa, a subsidiary of Samsung Electronics Company Ltd, a global giant in digital media and convergence technologies, has announced the availability of the all new All-In-One PC Series 7 into the Ghanaian market. The new All in One (AIO) PC builds on the premium aspects of the Samsung Series 9 Notebook with advanced engineering, craftsmanship and stylish design. Beyond high performance, the new AIO PC Series 7 has been crafted to deliver an entirely new AIO PC experience. Driven by a 3rd generation Intel® Core™ i5-3470T Processor, 6GB RAM, dedicated AMD Radeon HD graphics and a Full HD display with resolution of 1920 x 1080, the new AIO PC Series 7 embodies innovative sense recognition features such as 10-finger multi-touch screen control and hand gesture commands.